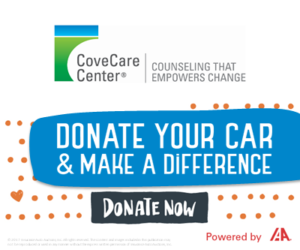 At CoveCare Center, we believe that substance use disorder is a treatable disease that can be managed so that individuals can live substance-free, productive and satisfying lives. We provide individual, group and family counseling to people experiencing life problems related to substance use or dependence, and to family members affected by a loved one’s addiction. We provide a safe place for individuals to learn about their relationship with drugs and alcohol, and to build a framework for ongoing recovery. Individual and family counseling. These sessions provide an important foundation for successful recovery. Groups. We offer groups tailored for women, men, people with mental health conditions, and those who have received DWIs. Other groups focus on relapse prevention, medication management, health and wellness, and more. Evaluations and Medications. Our board-certified psychiatrists offer evaluations and will prescribe medication as needed, including treatment for opioid use. Mental Health Services if you need additional counseling. Personalized Recovery-Oriented Services for people engaged in rehabilitation (PROSper), which offers comprehensive support for people with serious mental health conditions. Care Management Services, which can help connect you to needed resources, benefits and housing. Based on your needs and goals, we can also connect you with resources available through our many community partnerships.